Curated spaces at Design Centre, Chelsea Harbour are a new way to bring products to life. Nina Campbell has transformed her showroom into ‘Nina’s Apartment’ showcasing her wit, flair and versatility as an interior designer. There is an entrance hall, a drawing room, a bedroom and a bathroom with fascinating touches to discover at every turn. 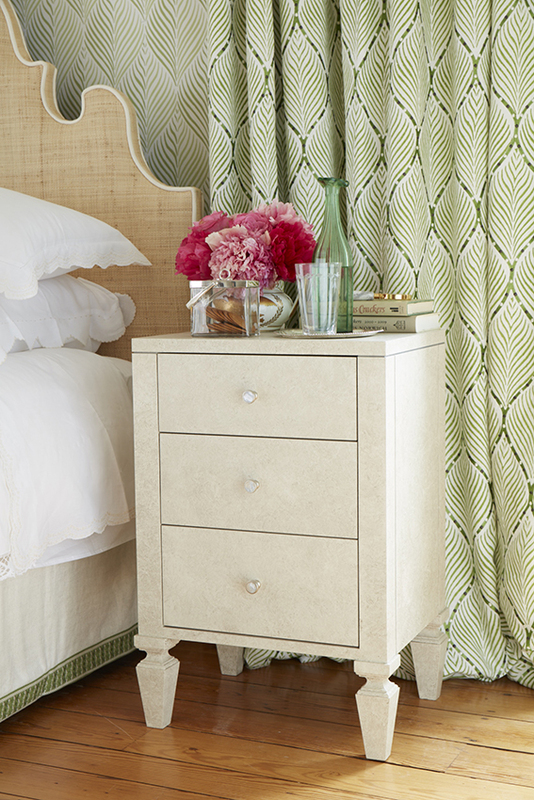 Open the ‘Easton’ secretaire and it has a vibrant red interior, while the sculpted ‘Charleston’ headboard is both elegant and dramatic. Bold plays of scale, and modern use of colour and texture, ensure they are welcoming as they are comfortable and stylish. 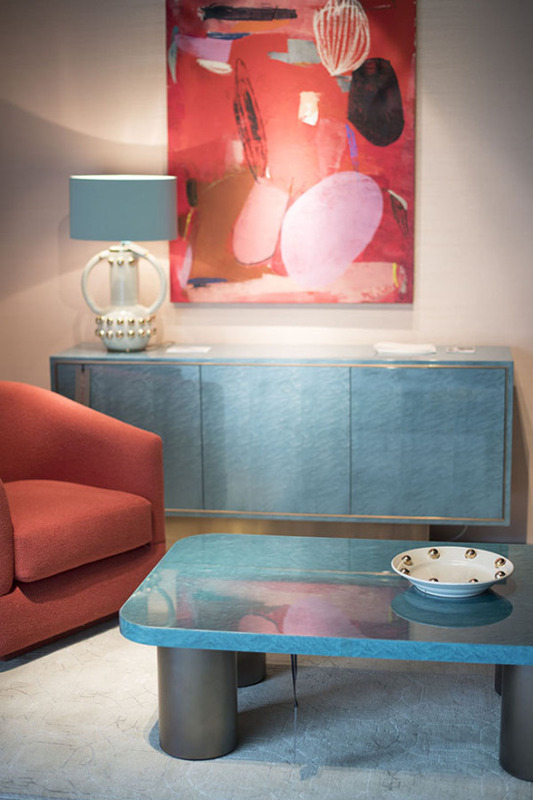 In the Turnell & Gigon at Home pop-up Katharine Pooley has been inspired by F. Scott Fitzgerald’s book ‘The Great Gatsby’, using luxury materials and unapologetic opulence to transport showroom visitors to another era. Hand-embroidered designs from Palestrina London are a key feature with Art Deco motifs interpreted in silk thread and metallic yarns. In Davidson, a collaboration with interior designer Anna Standish sees a stylised vignette featuring the West Coast collection that is inspired by her love of 1970s furniture. The ‘Malibu’ coffee table in bird’s eye maple is hand tinted in a vibrant shade of green, showcasing the fact that Davidson is introducing colourful timbers for the first time. In Design Centre East, new arrival Ventura is being presented as a one-stop shop. 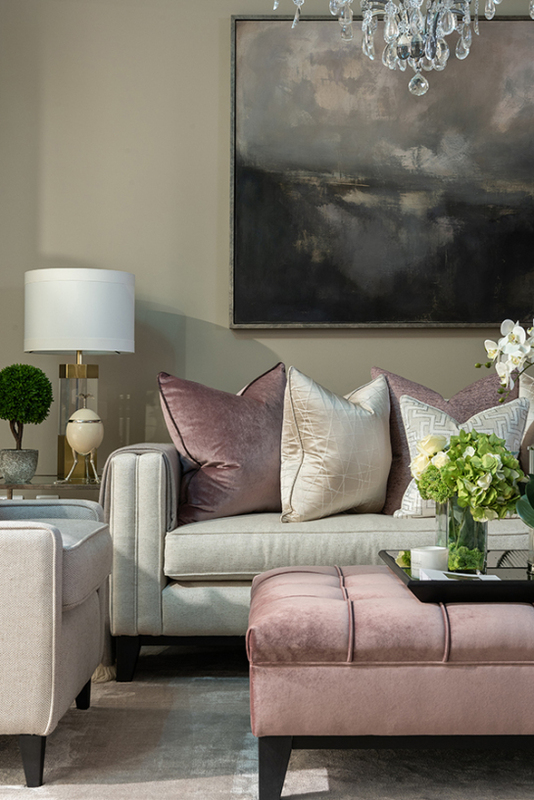 Beautifully conceived, there are tempting vignettes showcasing its range of luxury sofas, chairs, tables and soft furnishings.